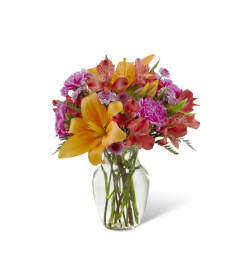 The FTD® California Chic™ Bouquet for Kathy Ireland Home. 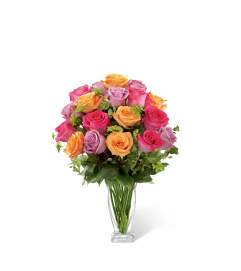 Blooming with the charm, and California cool style we all love, this bouquet is sure to express your sweetest sentiments to your special recipient with its distinct beauty. 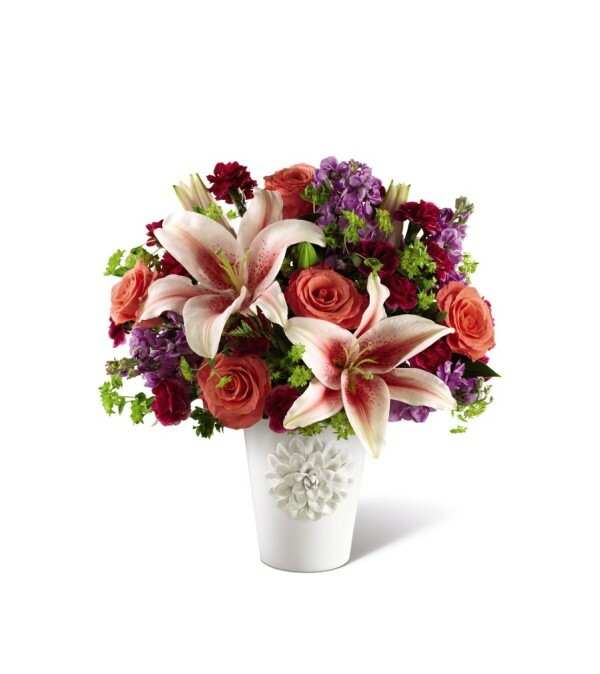 Bringing together coral roses, fragrant lavender gilly flower, magenta mini carnations, and pink Oriental Lilies, this stunning bouquet is set to make a memorable impression. Presented in a designer modern ceramic white vase with a detailed flower embellishment on the front, this flower bouquet embraces Kathy Ireland aesthetic to make your special recipient birthday, anniversary, or congratulations moment one they will never forget.